The Pacific University Oregon Women’s Soccer Prospect Camp will be on the 11th of February. It is inviting all girls 15 years old and up who are pushing to play at the collegiate level. The objective of the event is to create a challenging, inspirational, and fun training environment. Moreover, it will be an exceptional preparatory ground for a collegiate level competition. It will also develop the technical and tactical skills of the participants. In addition, goalkeepers will have their own special sessions. The program includes playing in competitive matches and college recruiting discussions. Taking charge of this prospect camp is the Pacific University Oregon women’s soccer coaching staff. Check-in will start at 10:00 AM at the Stoller Center. The Pacific University Oregon is a private, coeducational, non-profit university in Forest Grove, Oregon. Its campus is in a suburban area. The university is using a semester-base academic calendar. Currently, it accommodates around 3,500 students. 1,700 of these students are undergraduates. The university has an acceptance rate of 79 percent. The student to faculty ratio is 11:1. Pacific University Oregon is 22nd in Regional Universities West, 2018 edition of Best Colleges rankings. The university is also 43rd in the Best Value Schools rankings. In addition, the university fields 26 intercollegiate sports teams. This includes both the cheerleading and dance teams. They are participating in tournaments and leagues as the Boxers. Furthermore, their identity colors are red and black. 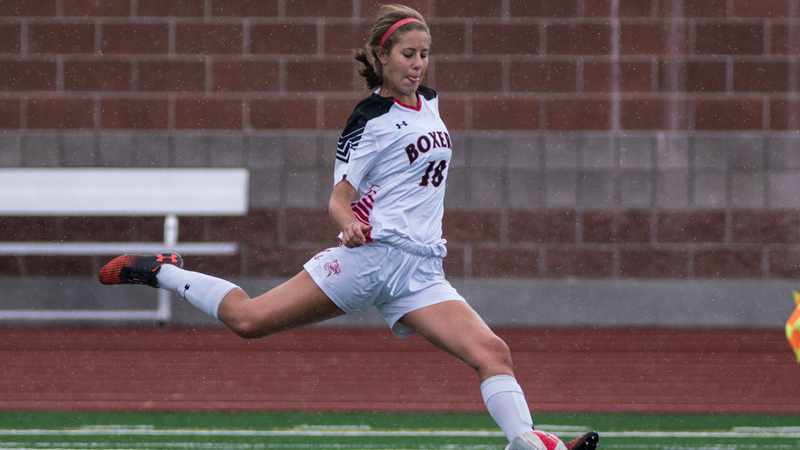 The women’s soccer team is competing in the Northwest Conference of NCAA Division III. The Head Coach of the Pacific University Oregon women’s soccer team is Steve Lucas. He is the former Head Coach of the Boise State Broncos. Additionally, Coach Steve Lucas is the 2003 WAC Coach of the Year awardee. Then, the Boxers women’s soccer Assistant Coaches are Kibwe Cuffie and Sidni Trotter. Coach Cuffie is already in his 4th season with the coaching staff while Coach Trotter is on her 1st. The Pacific University Oregon Women's Soccer Prospect Camp is inviting all girls 15 years old and up who are pushing to play at the collegiate level.